Discussion in 'Resources' started by Prashant Sharan, Apr 4, 2019. Welcome to the latest edition of reporting on the Sedo domain sales; this time we cover the days spanning March 25th, 2019 – March 31st, 2019. This information has been provided by Sedo.com, sponsors of DomainGang. 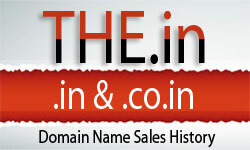 As a side note, Sedo has rolled out its separate Expiring Domains portal.